This is a freelance piece that I wrote for the SnoRiders West magazine. It was a great opportunity to reconnect with some fellow Manitobans. 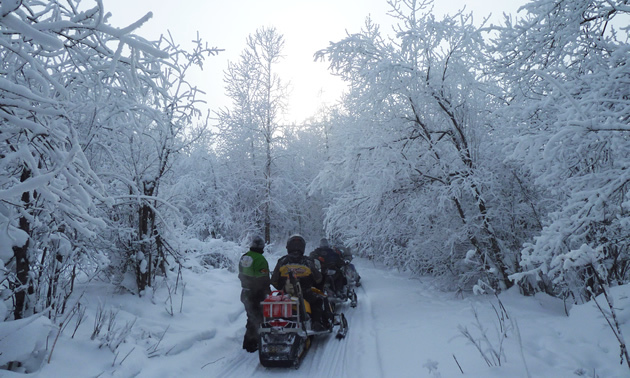 With snow covering the land from early November to mid-April, the Swan River Valley provides ample opportunity to enjoy getting out on your snowmobile. If the season’s length isn’t enough of a draw, this region boasts 800 kilometres of groomed trails. Around 453 kilometres of trails to the north are maintained by the North Mountain Riders and 320 kilometres to the south are groomed by the Swan Valley Snowmobile Club. The riding areas range from open fields to lake crossings, and rugged hills to bush trails, as well as powder-filled areas to play in. With only about 6,000 people living in the valley, there is a lot of room for exploration of the scenic sites here. Read the rest at SnoRiders West. Doubting that you have the power to change?